We get the question a lot: How can I get all the MLS in a single feed? The answer is you can’t, but you can get close. As a ListHub publisher, you can access the listings from 600+ MLS across the United States. 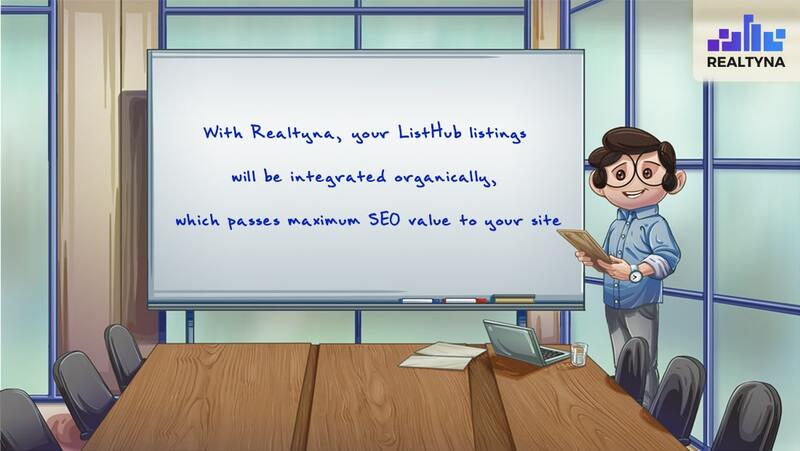 Once you have this license, Realtyna software can integrate the listings into WordPress, allowing you to build a real estate portal website with superior SEO. ListHub is North America’s premier real estate syndication service. ListHub works by linking MLS and brokerages with online outlets and media companies. Under the ListHub model, brokers choose the end destination for their listings. Publishers are then granted the right to display these listings online. WordPress is one of the world’s most popular website builders. Built around a free and open-source content management system, WordPress features thousands of plugins that allow users to design custom websites with minimal coding. 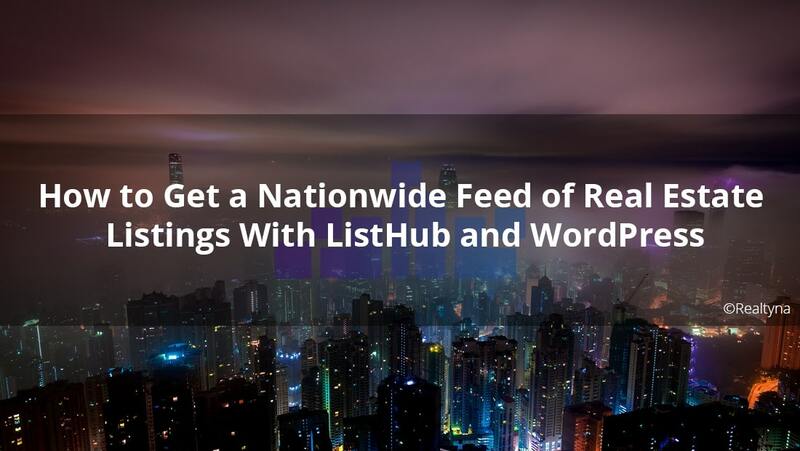 How Can I Get a Nationwide Feed of Real Estate Listings With ListHub and WordPress? If you do not have a WordPress site already, your first steps will be to set one up. At minimum you will need hosting and a domain name. Then you will need to install WordPress and a theme. For a guide on this process, follow steps 1,2,3 and 5 in our blog 13 Steps to Build A Real Estate Website With WordPress. Realtyna’s integration software is packaged as a series of WordPress plugins and add-ons. They can be installed directly from your WordPress back-end. Navigate to ‘Plugins’, and then click ‘Add New.’ Browse your computer for the main Realtyna plugin zip file (WPL), and then click upload. Next, you will want to install the integration part. This is done in the ‘Purchased Add-ons’ section. Navigate to ‘WPL’ > ‘Purchased Add-ons.’ Then, locate the integration software, and install it. At this point, your site is set up and ready to receive a data feed. You should contact ListHub about a license. There are several levels available. For listings nationwide, you will need to become a publisher. Once you have your ListHub feed, you need to connect it to your site. If you have experience with data integrations in the past, you may compete this step using the tools available in the Realtyna software, If you don’t, Realtyna technicians will connect your feed at now extra charge. Once complete you should run a few searches on your front end to make sure everything works properly and that the listings are updating. For more, check out What Is ListHub?